Not much is known about the device, but there are quite a few specifications which are seen on the listing. The Xiaomi smartphone only supports single-band WiFi and only works on WiFi b/g/n 2.4 GHz bands. This means it will not support dual-band WiFi or the latest WiFi 802.11ac. Also mentioned in the listing is that it is a dual SIM smartphone. However, only one SIM card can support 4G connectivity at a given point of time even though it supports dual standby. 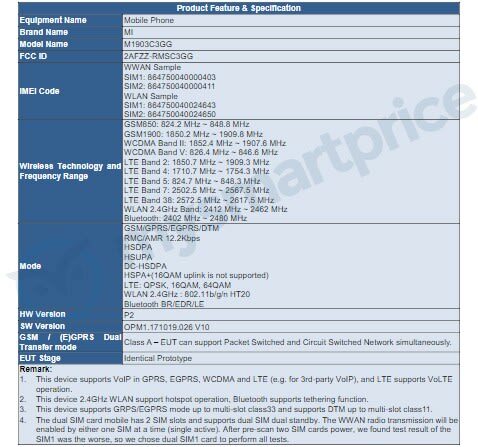 Also mentioned in the listing is the fact that the phone has Bluetooth 4.2 support and not the latest Bluetooth 5.0. The listing also reveals the physical dimensions of the phone. The phone has a 5.9 inch screen and is around 71 mm wide. 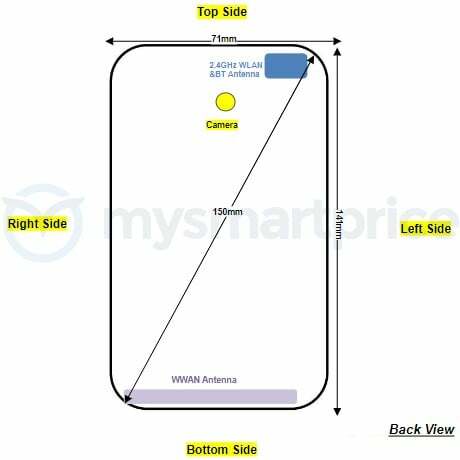 It is also reported to have dual rear cameras placed horizontally next to each other. It is highly probable that this will be another China exclusive smartphone and might not see its launch in India. However, it is interesting to note that the Xiaomi smartphone does have Band 4.0 support. India’s leading telecom company, Reliance used the Band 4.0 technology in its Jio service. This might give us hope that the phone will be launched in India.